• “Human Rights Conditions in Morocco”. Book chapter series (2007-2009). “The State of Morocco” series, Rabat: Wijhat Nadar, 2007-2010 (Arabic). • “Critique of Masculinst Thinking Imprisoning the Image of Women in Patriarchal Societies”, in Maati Monjib (ed. ), Confrontation between the Islamists and the Secular in Morocco, Volume II, Amsterdam and Rabat: IKV Council Peace and Wijhat Nadar, 2010, Forthcoming (Arabic). 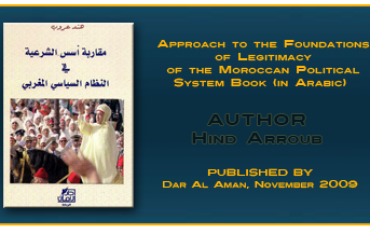 • “Criticism of the Security Approach to “Salafist Jihadists‟ in Morocco”, in Maati Monjib (ed. ), Confrontation between the Islamists and the Secular in Morocco, Volume I, Amsterdam and Rabat: IKV Council Peace and Wijhat Nadar, 2008 (Arabic). • “The Islamists in Morocco”, in The State of Morocco 2006-2007, Rabat: Wijhat Nadar, 2007 (Arabic). • “Culture of Citizenship in a Country of Subjects? 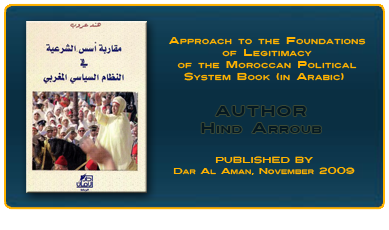 Case: Moroccan Society”, in Sovereignty and Power in the Arab world”, Beirut: Center for Arab Unity Studies, 2006 (Arabic). • “Moroccan Civil Society: Illusion of Efficiency or Effectiveness”, in The State of Morocco 2004-2005, Rabat: Wijhat Nadar, 2005 (Arabic). • “The Future of the International Community in the Third Millennium”, in Mahdi Elmandjra (ed. ), Globalization of Globalization, Rabat: Azzaman, 2000 (Arabic). 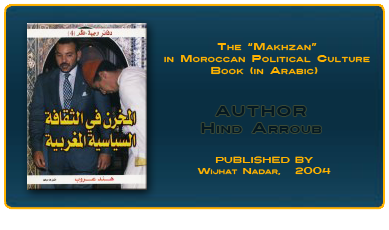 The “Makhzan” in Moroccan Political Culture (Book- Arabic).